He reached for the small, black handheld. Placing his index finger on the button, he raised his arms and selected his target. He pointed and shot. There was something calming about a late Sunday afternoon at Bondi Beach. When the waves met the sunset, it was a photographer’s paradise. Nine years prior, at just 19, Mathew Bell packed his bags, left his family on the Gold Coast and began training with the Australian Army. It was his childhood dream. A dream resembling that of any young boy as they held tightly onto their favourite action figurine, but unlike most, a dream that stuck with him through adolescence. “All my subjects in high school were focused on what I needed to do to get into the army. In year 11 and 12 that was the focus,” Mathew said. Under the third battalion for the Royal Australian Regiment, Mathew was enlisted to East Timor in April 2008 and Afghanistan four years later, spending six months in each as a soldier and paratrooper. Being indifferent to photography, it wasn’t until Mathew said goodbye to everyday luxuries and was faced with sporadic Internet and limited phone access, that he found comfort in the camera. Its message reached a wider audience. “At first I was just taking photos of the scenery, the people, things that caught my eye - in East Timor, they would tie goats and pigs down to the roof of cars and drive around with them,” Mathew said. Through his candid, documentary style, Mathew’s passion for visualising his experiences in the army extended beyond his desire to “keep the world up to date”, and led him to establishing MRyan Photography. 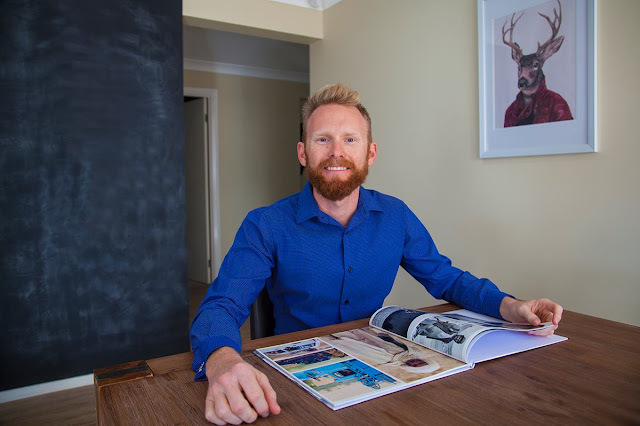 He sends out a monthly e-Newsletter to stay connected to his friends, family and followers and continues to share his photographs, recently publishing a special edition for the month of April in light of the ANZAC spirit. Starting as a Facebook page prior to his time in Afghanistan, the business now has almost 150 000 page views on Google+ and a nomination in the 2015 Liverpool Local Business Awards. “I was originally putting my photos on Facebook, and the amount of response I had from that was incredible,” he said. Having only ever taken one photography course, Mathew finds value in what he can learn from others. Alongside a fellow veteran, he has picked up the tripod and organised what is referred to as a ‘Veterans Instameet’, in which a point is designated – most recently Bondi Beach – where veterans meet and embark on a group photo-shoot. “The aim is to get people together, specifically veterans, who share a passion for photography. We all share the same experience: the ANZAC experience, and so we just take photos, hang out, and share tips,” Mathew said. Now 27 years old, Mathew’s intention to return from the army and pursue full-time photography in Sydney didn’t go as planned. Finding he was only getting work Friday through Sunday, the veteran has consequently spent the last two years in real estate. “Real estate pays the bills, photography keep me sane. It’s a good balance,” Mathew said. “The photography helped me get that job. It was half the reason I got it. The other half was because of my military career – the whole discipline side of things,” he said. Real estate aside, Mathew’s photography is far from forgotten. He has published a collection of his photos titled Afghanistan, which was displayed for six weeks at the Australian War Memorial in Canberra and regarded for its honesty and impact. As for his military career, Mathew hopes to one-day return to the army as a photographer. “Coming back from Afghanistan, I put my paperwork in to say I wanted to transfer to become a photographer, but there were no vacancies,” He said.